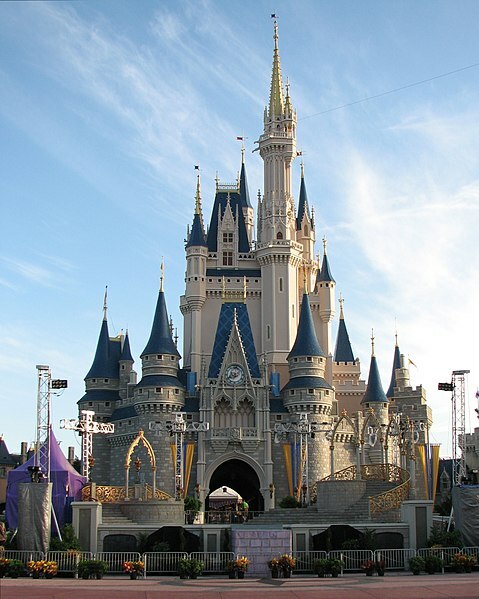 The Cinderella Castle in Disney World’s Magic Kingdom was completed in July of 1971. It is a 20th century building that drew upon centuries-old architectural styles. It has the appearance of a medieval castle, although it was inspired by many castles that were built during the modern era. Nonetheless, it is a beautiful building that stands in sharp contrast with many of the “great modern buildings” of the current age. It is grand and ornate, like a castle or cathedral, rather than sleek and geometric, like a space ship or a megachurch. Unlike the caretakers of many castles and cathedrals, however, the owners of the Disney Castle have sought to bring the Cinderella Castle into direct contact with the modern arts. Until this January, I had never seen anything quite like Disney World’s “Celebrate the Magic” projection show. This show illustrates why Disney has captured the world and maintained its attention for more than half a century. While drawing from classical art traditions, it engages powerfully with new art forms and medias. The grandeur of a medieval castle encounters a 21st century projection show, and the result is quite stunning. Disney shows that classical form can yield great results. The castle becomes a template for creativity, and the limitations created by the castle design provide opportunities for creativity that a mere geometric shape cannot. We learn that, though confined by limits, possibilities can be endless. Often, builders choose between “modern” and “classical” in their designs. The Cinderella Castle, however, shows that there need not be such a distinction. Classical art forms can provide unique templates for the arts of modernity. Disney has made the castle both classical and modern. Rather than rejecting either classicism or modernity, Disney shows that you can (and possibly should) have both. Churches, in particular, should keep this in mind. Like the Cinderella Castle, a beautiful church can draw people to itself. If Christians seek to evangelize, they ought not to dismiss the importance of beautiful churches in its work. Further, their churches should consider new ways to combine classical forms with modern art. Like the 16th century Church of the Gesu in Rome with its daily baroque “light show,” Christians need to bring the greatest classical forms together with the arts of modernity. Disney- modern art? Agree or no?